This is Grinnell Lake. 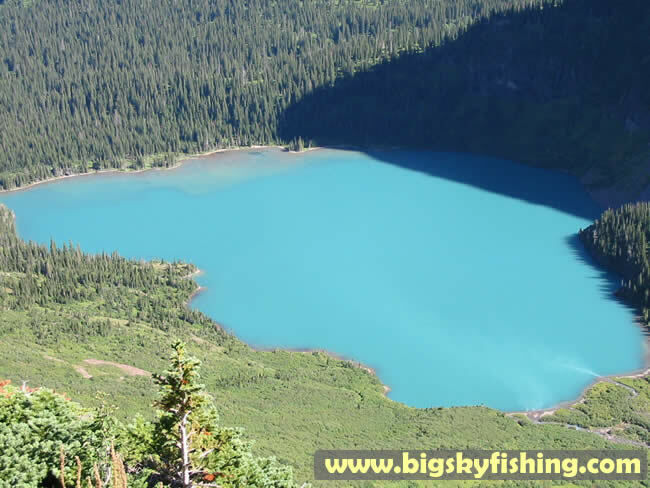 Grinnell Lake isn't hard to identify - the milky, blue color of the lakes water is a sure giveaway. The color of the water is due to the melting of the Grinnell Glacier far above it.